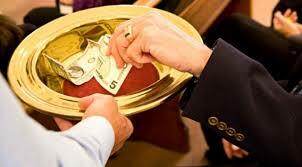 Church tithing and offering is a ritual practice always witness in church gathering. The act of giving tithe and offering is backup scriptural by heavens according to Malachi 3:8-9 "Will a man rob God? Yet ye have robbed me. But ye say, Wherein have we robbed thee? In tithes and offerings; Ye are cursed with a curse: for ye have robbed me, even this whole nation"
The act of giving tithe and offering represents faithfulness in total submission of God's word. 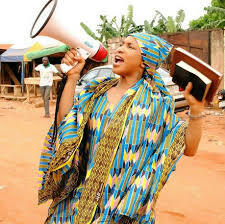 It attract God's blessing and failure to abide unto this warning, likewise also leads to curse and punishment from God. Offering is mandated because the service and propagation of the gospel require money; there is always need to expand by advertising the gospel to the dying world and such aim can't yield fruitfully without the aid of MONEY. An anointed pastor might goes to the mortuary and commands all the dead to arose; yet the following day, thousands might troop to his church to confirm his anointing but without money, such ministry can't move forward. There is great urgent call for the sponsor-ship and promotion of the gospel, money can goes a long way in provoking sinners and unbeliever to serve God. However, the urgent need of money in our various denominational churches and ministry career’s has caused a great havoc in the kingdom service. Today, many fake's pastors and ministers now use this avenue to behold church service as BUSINESS; all in the aim of prosperity, thereby, forbidden the important needs in expansion of the true raw salvation word of God. READ ALSO: Practice Of Witchcraft Doctrine In Churches. Hence, they now channel their sermon unto earthly nonsensical nonsense benefits, perverse, serpentine and unedifying doctrine. They abandon the raw undiluted salvation word of God. In fact; most of them are so much scared to reproved, rebuked and inform her member the godly principles and ways of attaining unto pure holiness; because the foundation and vision of their ministry was laid upon sink ground of worldliness because of MONEY. Nevertheless, only few pastors in today Holy churches in our various denominations are seen with great boldness, instructing her member to act in godly style. Only few of this pastor can categorically warn the members never to offer OFFERING if the source of their money are diabolic or evil. READ ALSO: Snake In The Church. Generally, sinners are never instructed to give tithe or offering unto godly service because such money will attract God's wrath and curse upon the CHURCH. Psalm 7:11 "God is angry with the wicked every day" Isaiah 3:11 "Woe unto the wicked! 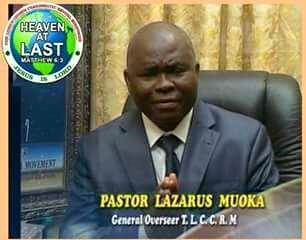 it shall be ill with him: for the reward of his hands shall be given him"
Howbeit, The General Overseer of The Lord's Chosen Charismatic Revival Movement Pastor Lazarus Muoka; Has instructed armed robbers, prostitutes, cultists, women on trousers and kidnappers from giving offerings, pledges and paying tithes in the church. While Preaching to hundreds of thousands of worshipers that converged on the headquarters of the church in Lagos, Nigeria during last 2 days Easter crusade 26-27th march 2016, with a theme, "GOD HAS POWER TO DO THIS OR THAT" The Pastor said that God is not interested in ill-gotten wealth and riches but want everybody to worship him in truth and in spirit. The Pastor Exact Word while Forbidden Member From Giving Offering. “If you are here and you are an armed robber, a kidnapper, prostitute, cultist, adulterer, among others and you don’t want to repent, please we urge you not to give offering, tithe or pledge because we are here to lead people to Christ and not money. While preaching on the theme "GOD HAS POWER TO DO THIS OR THAT" He said the Church would not fail to fore-warn evildoers against giving ill-gotten wealth to God who is the owner of all things. He noted that the crusade, which coincided with Easter celebration, was designed to produce a spiritual rebirth that would bring about restoration, salvation and Holy Ghost baptism. READ ALSO: How To Lay Treasure Above In Heaven. He noted that human problems exist because “we do not recognize the fact that God has the ability to turn-around our situation no matter how bad it may seem to be. You limit God by seeking other means but that is lack of knowledge. He concluded; The truth is that, God has the power to cause the barren to conceive, the lame to walk, the blind to see and the captives to be freed and with him all things are possible; HE HAS POWER TO DO THIS OR THAT"
0 Response to "A Pastor Banned Members From Giving Church Tithe And Offering"